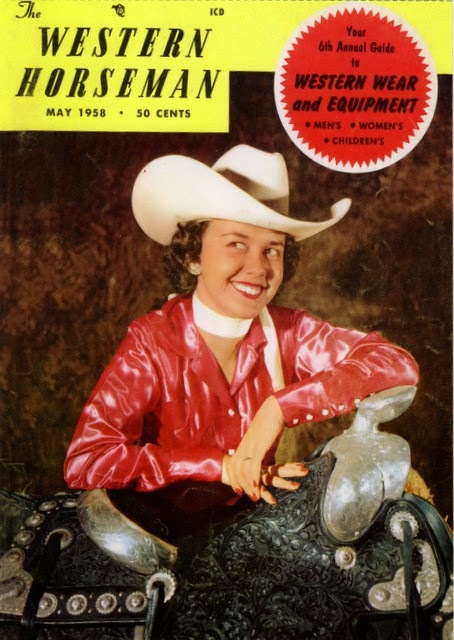 Outgoing postcard US-3208624 to Ukraine was a Western Horseman magazine's cover for May 1958, showing a photo of Carolyn Colburn, the daughter of famed rodeo producer Everett Colburn, taken at the Madison Square Garden Rodeo. On the back of the card, it reads "Carolyn was the perfect choice for the magazine's sixth annual Western Wear and Equipment Guide." A copy of the magazine costs 50 cents then.